Democratic Colorado Gov. 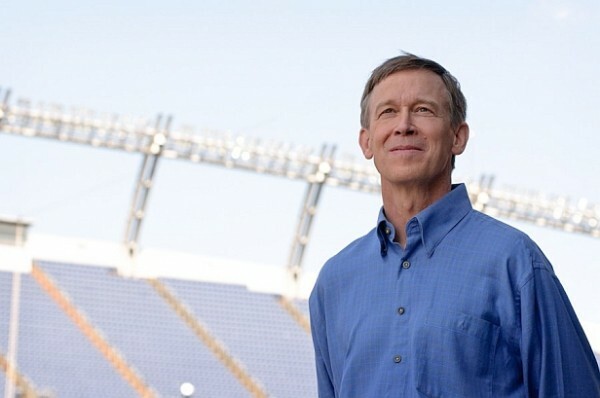 John Hickenlooper on Thursday joined seven other governors – two of them Republicans – to push a short-term bipartisan health-insurance plan (pdf) to stabilize the individual and small group insurance markets utilized by an estimated 22 million Americans. In the plan, Hickenlooper, who partnered on the plan with Republican Ohio Gov. John Kasich, proposes a significant move that could exempt insurance companies serving “underserved counties” — with only one or two available insurance plans – from the federal Health Insurance Tax (HIT). Rural Colorado, including vast swaths of the Western Slope and Eastern Plains, has suffered through some of the highest individual-market health insurance rates in the nation in recent years, with costs expected to continue to sky rocket by up to 40 percent next year. Hickenlooper, during a press conference at the Colorado Capitol on Thursday that was carried live on Facebook, recognized that rural Colorado is being crushed by runaway insurance rates in the individual market. “We want to make sure we preserve choices in underserved counties as far as some of the mountain counties and the rural counties on the Easter Plains and the West Slope,” Hickenlooper said. “There are a couple of ways we’re going to try and incentivize more and different insurers to come into the rural or underserved markets. The plan was in the form of a seven-page letter dated Wednesday and sent to Senate Majority Leader Mitch McConnell, Speaker of the House Paul Ryan, House Minority Leader Nancy Pelosi and Senate Minority Leader Chuck Schumer. It was signed by Hickenlooper, Kasich, Republican Nevada Gov. Brian Sandoval, Independent Alaska Gov. Bill Walker and Democratic Govs. Tom Wolf (Pennsylvania), Terry McAuliffe (Virginia), John Bel Edwards (Louisiana) and Steve Bullock (Montana). The proposal acknowledges the urgency of stabilizing the individual markets when Congress is back in session after the August break, following the failure of GOP efforts earlier this summer to repeal and replace the Affordable Care Act. Many insurance companies are finalizing individual and small-group plan prices for 2018 by the end of September, and registration on the open market starts Nov. 1. U.S. Rep. Jared Polis, a Boulder Democrat who is now seeking the Dem nomination to run for governor in 2018, hosted digital roundtables on healthcare in February and June. He also sent a letter to Ryan outlining a bipartisan plan to improve the Affordable Care Act, and in May he voted against the GOP American Health Care Act that narrowly passed in the House. “I am pleased that Gov. Hickenlooper and Gov. Kasich are promoting a bipartisan healthcare plan,” said Polis, who, along with Colorado Republican U.S. Rep. Mike Coffman, is a member of the congressional Problem Solvers Caucus. “I believe bipartisanship is key to making any progress on healthcare. “I’m thrilled to know that many of our bipartisan solutions are echoed by Gov. Hickenlooper and Gov. Kasich, and I look forward to working with them to make healthcare affordable and accessible for all,” Polis added. Coffman, who represents a largely Front Range District, did not comment via social media or his official website on the Hickenlooper-Kasich plan, but he is the sole Colorado Republican who voted against the AHCA — a bill that stripped away most of the key components of the ACA and was never even seriously considered in the Senate. Eagle County Commissioner Jill Ryan, who’s seeking the Democratic nomination to seek the Colorado State House District 26 seat being vacated by Diane Mitsch Bush, has worked for years at the local and state level to try to bring down Western Slope health care and insurance costs. Ryan says there’s a drag on the local economy for small businesses whose owners don’t have access to large group plans but on the individual market are facing premiums, deductibles and out-of-pockets costs rivaling their monthly mortgages.